Males often produce signals to attract females to mate. These sexual signals come in many forms: acoustic (e.g. calls of songbirds and crickets), visual (e.g. deer antlers, bright colourful bird plumage, colourful tropical fish scales; Figure 1), and chemical (e.g. pheromones). These signals are thought to provide females with information about male quality and potential mating benefits to help them choose between different males. Figure 2. 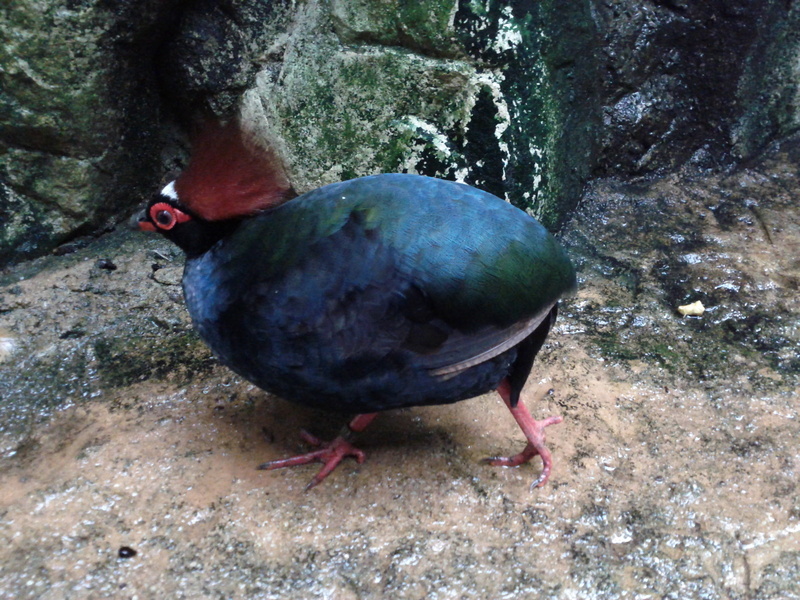 Bright plumage and plump body size in a crested partridge. For instance, if bright colourful bird plumage is strongly dependent on nutrition, then feather colour might signal that a male is healthy and good at finding high quality food (Figure 2). Mating with males that have colourful plumage might benefit females directly if males share their food, or indirectly if they pass on good genes for health and foraging ability to their offspring. Since poor quality males should be incapable of cheating and producing sexual signals that rival those of high quality males, sexual signals are thought to honestly indicate mating benefits. But are all sexual signals honest, or do males sometimes cheat when trying to attract a mate? Figure 3. Are you compensating for something? Males might be more likely to produce dishonest signals (cheat) if they have a bleak reproductive future. 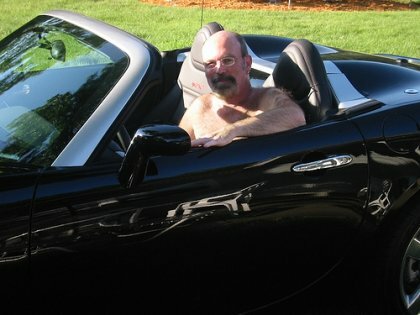 For instance, starving, diseased, old, or dying males might invest all of their remaining energy into attracting females at the risk of dying sooner (Figure 3). This alternative idea, known as the terminal investment hypothesis, suggests that poor quality males might sometimes be able to produce signals that rival the signals of high quality males. These poor quality males would not, however, be able to provide females with the mating benefits that they were dishonestly advertizing. 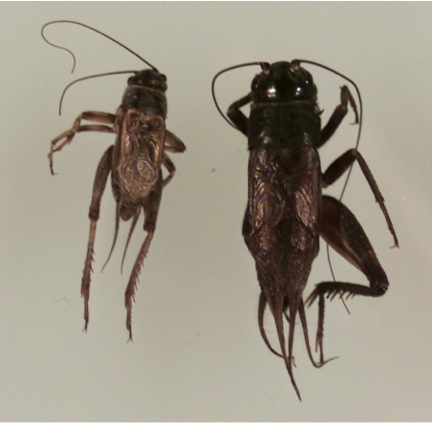 We questioned whether all sexual signals are honest using fall field crickets (Gryllus pennsylvanicus). These crickets are commonly found throughout much of the U.S. and southern Canada. Males produce two types of mating calls by rubbing their hind wings together: one they use to attract females from a distance, the other they use to court attracted females. Both mate attraction and courtship calls are made up of a series of sound pulses that they group into chirps (Figure 4). Figure 4. 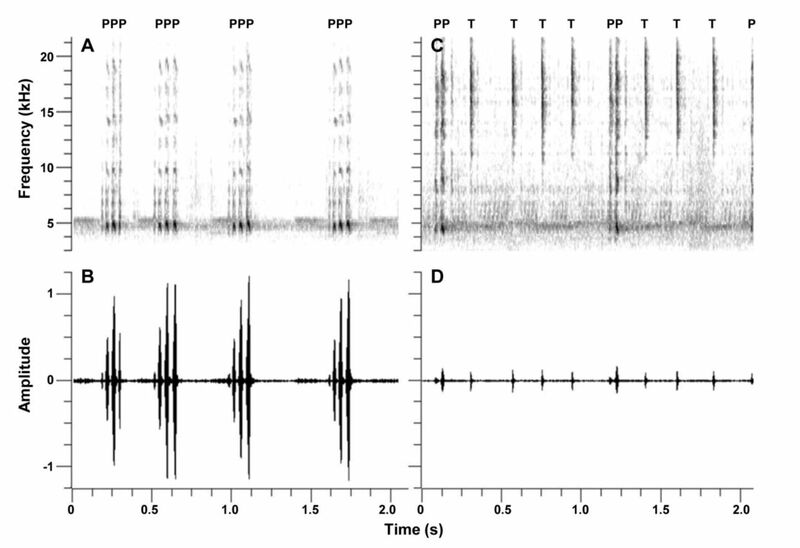 Sonograms (top) and waveforms (bottom) of a G. pennsylvanicus long-distance mate attraction call (A & B) and a courtship call (C & D). We break down these chirps into smaller pieces (call rate, chirp rate, pulse rate, tick rate, number of pulses per chirp etc) to study them. Males can invest more or less energy into calling by changing the temporal properties of these pieces. Higher condition males should have more energy to devote to signalling than low condition males (‘Condition’ is an individual’s ability to find food and turn it into useable energy). Females should benefit from using calls to find mates because high condition males should pass on good genes for condition to their offspring. We recorded each male’s long-distance calls and courtship calls (click on the calls for examples), broke these calls down to their smaller temporal components, and then examined relationships between these temporal components and two different estimates of male condition: 1) body size (i.e. height; Figure 5) and 2) plumpness (i.e. fat). We found evidence that males both honestly and dishonestly signal their condition. Male mate attraction calls honestly indicated body size, except that small males called with faster chirp rates than large males. Courtship calls dishonestly signalled male plumpness, as lean males produced calls with pulse and chirp rates similar to plump males, with males of intermediate plumpness having the lowest pulse and chirp rates. It costs more energy to call at faster pulse and chirp rates, so faster rates should be harder for low condition males. Our findings reveal that small and lean males cheat when calling to females: they call at equivalent or higher rates than large or plump males, suggesting not all sexual signals are honest. 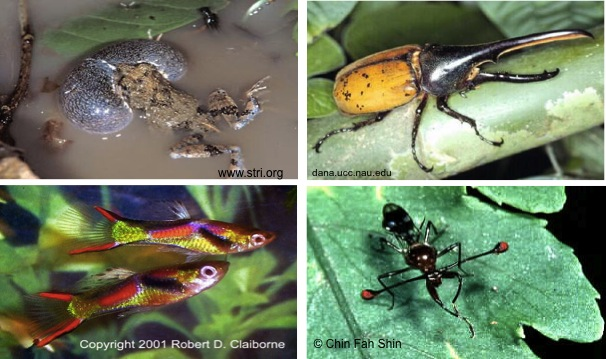 Blog post “Deceptive Males: Not All Sexual Signals Are Honest” was written by Sarah Harrison, a PhD candidate in the Bertram Lab.